The picture is indeed large: two continents and the British Islands enter into it, as well as the relationships between the Old World and the New, as illustrated by the wonderful Henrietta Stackpole and by most minor characters, plus the social reforms brewing in Britain, of which Warburton is a promoter. Added to that, Italy's architecture, whose beauty, importance, and history are illuminated by Isabel's melancholic identification with it, by the Countess's indifference to it, by Ralph's scholastic interest in it. The more intimate, unhistoric, scenery is also masterfully described: Gardencourt comes to life in a few short pages and it remains a vivid image throughout the book. It came to be a square and spacious house—or has at least seemed so to me in this going over it again; but, such as it is, it had to be put up round my young woman while she stood there in perfect isolation. Therefore, consciously, that was what one was in for—for positively organising an ado about Isabel Archer. The fact that he organizes all this ado around a woman makes me love James even more. It shouldn't be impressive, but it is. And the reason why that is the case is that ado about women should be half of literature and it's not. In that same preface, James acknowledges this and also lays some thick delicious snark on those writers who find it difficult to write female characters that matter. Really, go read that thing, you won't be sorry. One more thing that deserves a mention (last, but definitely not least) is James's command of words: his sentences are long and rich and grammatically complex, but neither clarity, nor flow suffer because of it. Quite the contrary, the book reads easily and swiftly, and the words and phrases and syntax seem to be an intrinsic part of the story. James achieves one of the things I treasure the most in books: the reader is hardly aware of the language, it seems an emanation of the subject itself. But I always want to know the things one shouldn't do. Whatever life you lead you must put your soul in it--to make any sort of success in it; and from the moment you do that it ceases to be romance, I assure you: it becomes grim reality! And you can't always please yourself; you must sometimes please other people. That, I admit, you're very ready to do; but there's another thing that's still more important--you must often displease others. You must always be ready for that--you must never shrink from it. That doesn't suit you at all--you're too fond of admiration, you like to be thought well of. You think we can escape disagreeable duties by taking romantic views--that's your great illusion, my dear. But we can't. You must be prepared on many occasions in life to please no one at all--not even yourself. 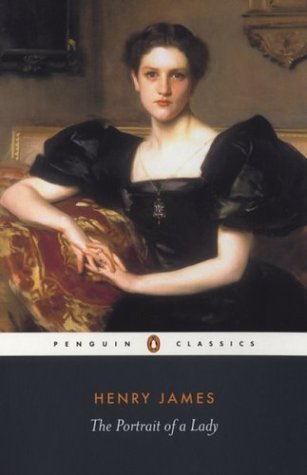 The Portrait of a Lady is a great book, and I've thoroughly enjoyed it. I give it 5 stars. This sounds lovely! I've had it on my list for a while but this might just be the push I needed to put it at the top when I go back to reading library books. Thanks for posting! Yey, I'm so glad I made you want to read it! Do do that, I'm looking forward to see your opinion on it. Lovely review! I have such a weakness for stories that follow one character throughout considerable time and place spans and allow us to see the growth, so Portrait of a Lady seems to be right up my alley.This book has been on my shelves for months, but it never feels like the right time to pick it up (of course, this might have to do with the fact that I'm always in the middle of a 1000-page book when I think about starting it). Hopefully I'll get to it this winter. I'm glad you enjoyed the review! I hope you and Portrait of a Lady manage to have good timing in your relationship, eventually.